Few people have contributed as much to the evolution of fly fishing and to the environmental awareness as this Valaisian farmer’s grandson, who ultimately became familiar with the mighty of this world, Charles César Ritz. At the age of twenty-six, in 1917 is sent to New York by his father Cesar, the founder of the famous palace, to complete his training in hotel management. The young man spends his spare time patching up split cane fishing rods purchased in a pawn shop in Manhattan to resell them to a big store in New York, which is now renowned for its t-shirts and polos! Confined in a cramped office, Ritz uses his tranquillity to learn the basics of business thanks to the selling of his rods… During all these years, he often goes fishing with his dentist on the Beaverkill, a great river in the Catskill Mountains in order to check his theories on fly rods. Back in France in 1927, he opens a shoe store in Paris, rue du Faubourg Saint-Honoré. The shop is only a facade. Behind the luxurious shoe boxes, one can distinctively hear sawing, filing, scraping pieces of fishing rods. One of his creation is in series production with the help of one of the most prestigious artisan rod-makers on the East Coast, Jim Payne. Later, Charles Ritz develops the famous “parabolic” rod, which have never disappointed since then. He becomes a full member of the Anglers Club & meets well-known figures of that time. Along with his passionate friends, Ritz visits the most beautiful rivers of the planet and brings his now famous rods throughout the world. President Eisenhower thanks him for the Parabolic he was offered ! Graylings from Bavaria and Austria are his trusty playmates, as are the trouts of Normandy or those out of the Test, Avon, and Itchen in Southern England. After catching a fish, he often releases it, thereby becoming in Europe a pioneer in this field too. Guides of the major rivers in Scandinavia and Scotland often see him along their shores as well as those of the Florida flats or pools in British Columbia.
" A Fly Fishers Life "
In 1958, he creates the International Fario Club where his fellow fishermen, met on the riverbank, gather each year for a banquet in the hotel in Paris. The five continents are represented and all share the same passion for fly fishing, without distinction. 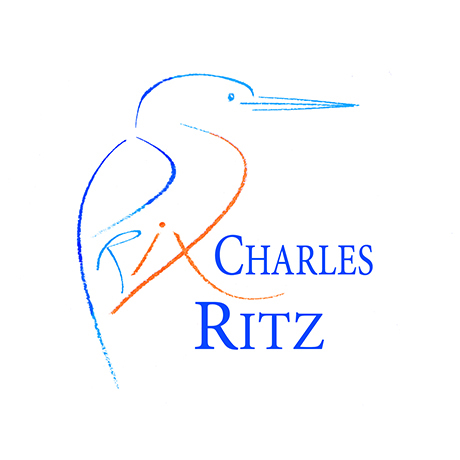 Ardent promoter of water resources protection, Charles César Ritz, pioneer in ecology, defends the rivers’ quality. He participates to the creation of the national association for the waters and rivers’ protection, called TOS, chaired by his friend Léonce de Boisset. He co-founds a magazine Plaisirs de la Pêche, which does not exist anymore, counting Ernest Hemingway as one the members of the Editorial Board. It is remembered as a model of its kind, combining technical articles and forums on the environment. In 1976, Charles César Ritz passes away, at the age of eighty-five. He leaves a genuine fingerprint in the art of modern fly fishing. Today, his Club promotes and cares about the rivers’ health by awarding each year a prize named after its founder, rewarding individual initiatives or organisations for the improvement of aquatic environments in need of restoration.